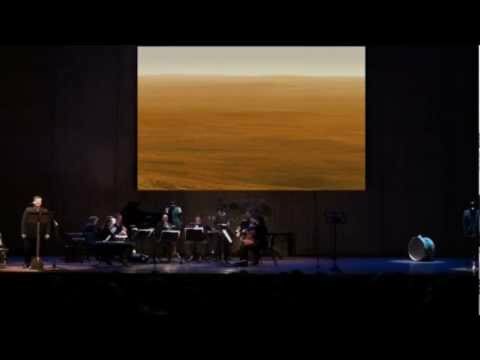 La fuga del tempo, based upon The Tartar Steppe (Il deserto dei Tartari) by the Italian novelist Dino Buzzati,is a song about a soldier’s life that goes by without ever really having started. The piece, composed by Elmer Schönberger, had its first series of semi-staged performances in January-March in The Netherlands with tenor Marcel Beekman as Giovanni Drogo and the instrumentalists of Nieuw Amsterdams Peil. Dino Buzzati (1906-1972) achieved worldwide fame with his novel Il deserto dei Tartari, written in 1940 and published in 1945. It is an En attendant Godot avant la lettre, a history of purposeless waiting which takes shape in the life story of Giovanni Drogo. Drogo, a young lieutenant, is posted against his will in a fortress at the border of a vast desert. In the end he will pass his whole life there, waiting for an enemy who only shows up when it is too late for him. Elmer Schönberger, who already devoted an earlier work, L’ombra, to a short story by Buzzati, took for his dramatic cantata La fuga del tempo an episode from the Il deserto dei Tartari that sums up in brief Drogo’s life before it actually has begun. The events take place in the night when for Drogo starts l’irreparabile fuga del tempo (the inreversiblie flight of time). A future comes into being in which Drogo unsuspiciously resigns himself to a life that is not to be lived. La fuga del tempo was composed for Nieuw Amsterdam Peil and tenor Marcel Beekman. The piece is written for eight musicians: flute/alto flute/bass flute/ocarina – clarinet/bass clarinet/ocarina – trumpet – horn – piano/ synthesizer – percussion – violin/mandoline/ocarina – double bass. The duration of the piece is about 43 minutes.